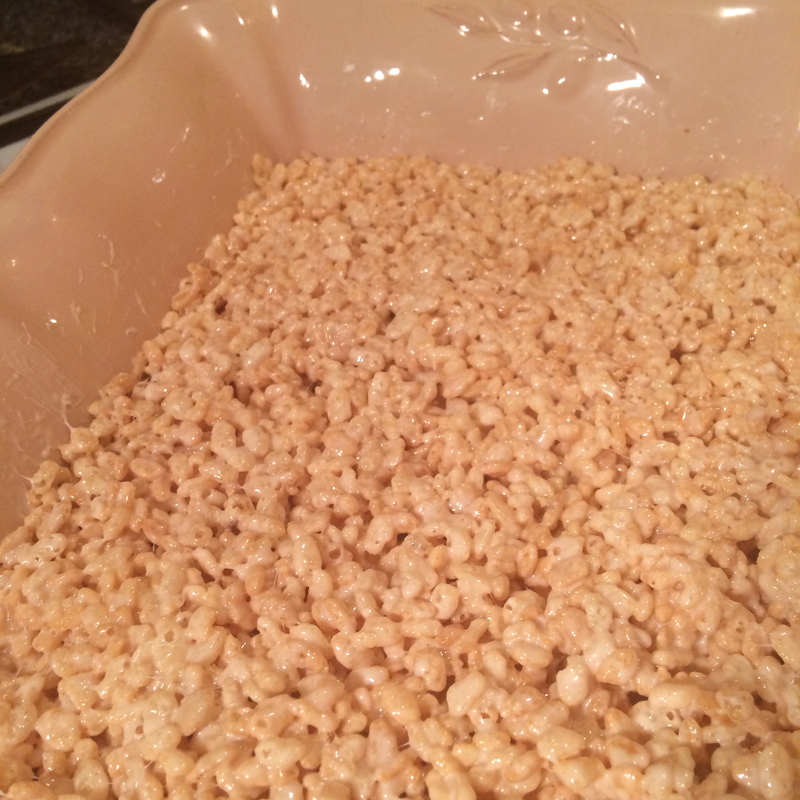 My friend Lucy made Marshmallow Squares when I was at her house last week – more for her daughters than for me – but it reminded me of how much I loved them. 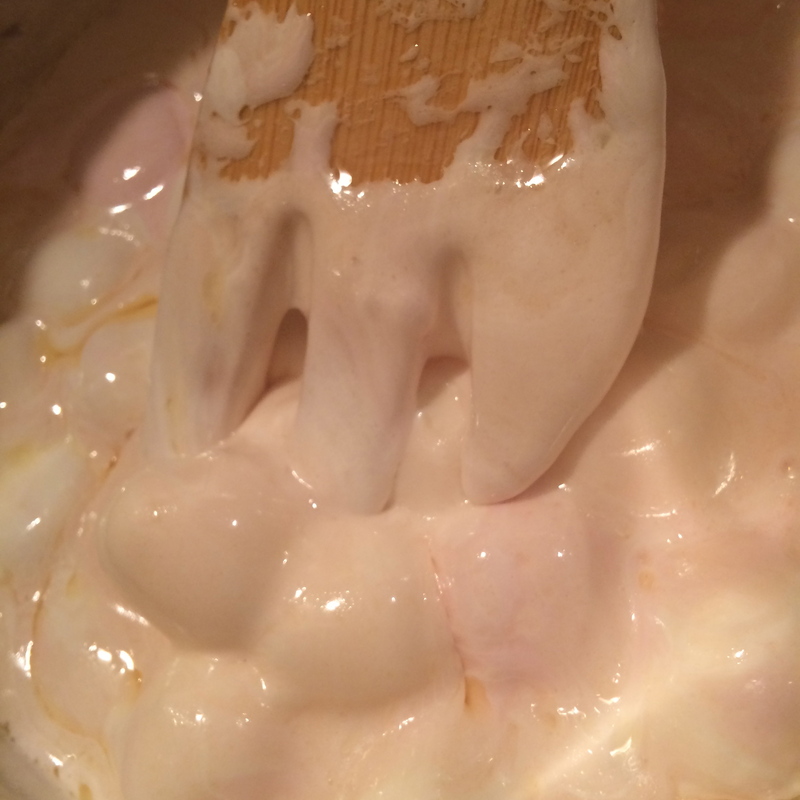 Melt the butter in a large saucepan, add the marshmallows and stir continually over low heat. 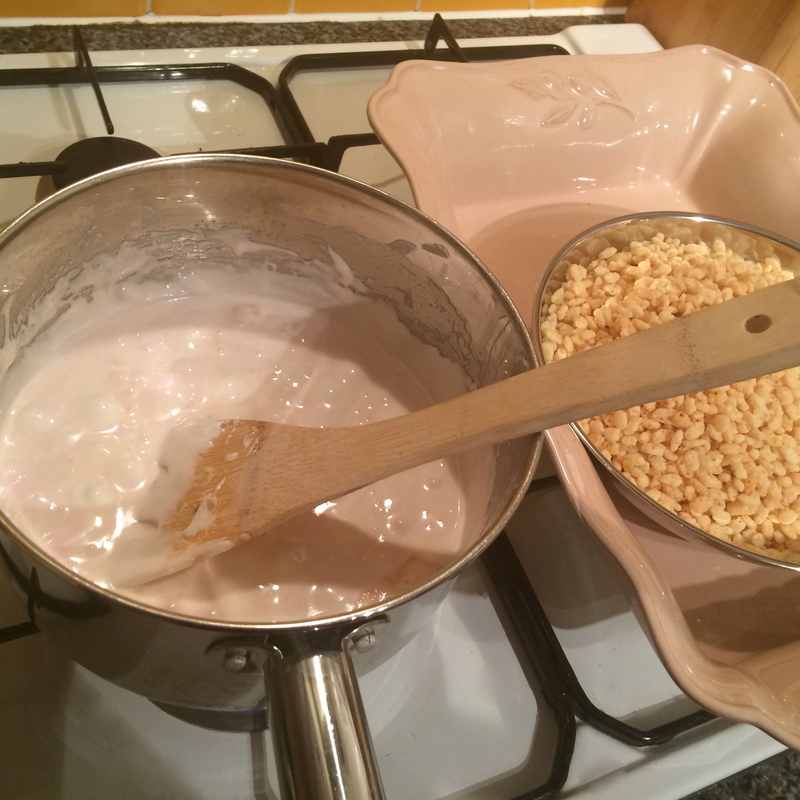 Stir until the marshmallows become a soft paste, and blend in rice krispies. The key is to work quickly. It is unbelievably sticky so it is best to lightly grease the tin or dish that you’re using. I didn’t do this and I regretted it. I pressed down to flatten it with the end of a knife, as the back of the spoon stuck to the mixture. Let it cool completely before cutting it into squares. 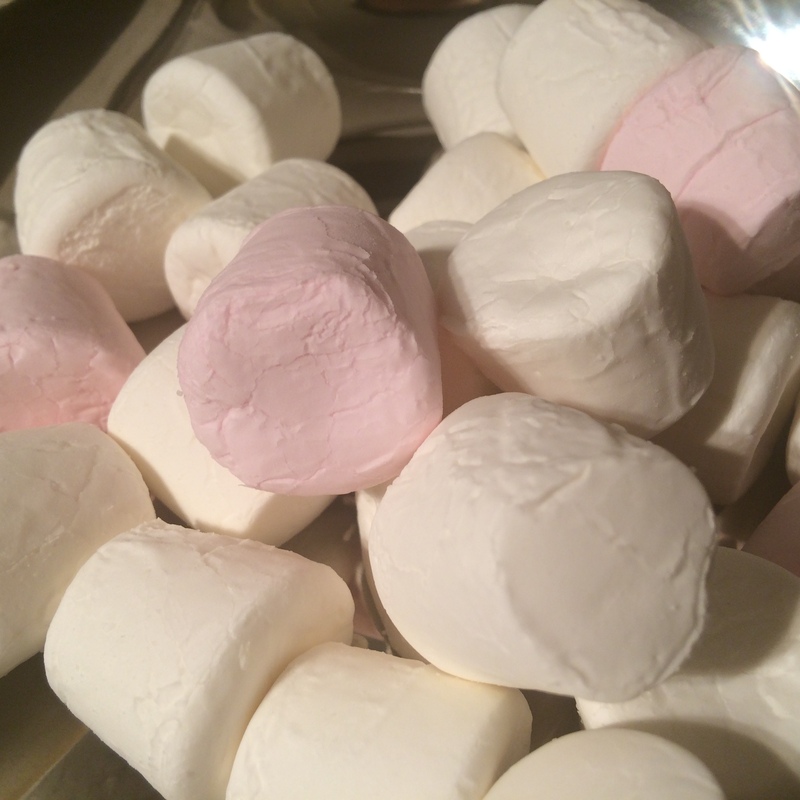 I love marshmallow squares, and you’ve just reminded me! Could spread melted chocolate over the top but would that be ‘too much’! ?